Spring is sprung, the grass is riz…So much so that I’m already out with the shears, trimming back grassy borders to the plot. Clippings go in the daleks, in happy anticipation of creating a bit more heat in the bins. With sun beating down (wheeeeeeeeeeee!) 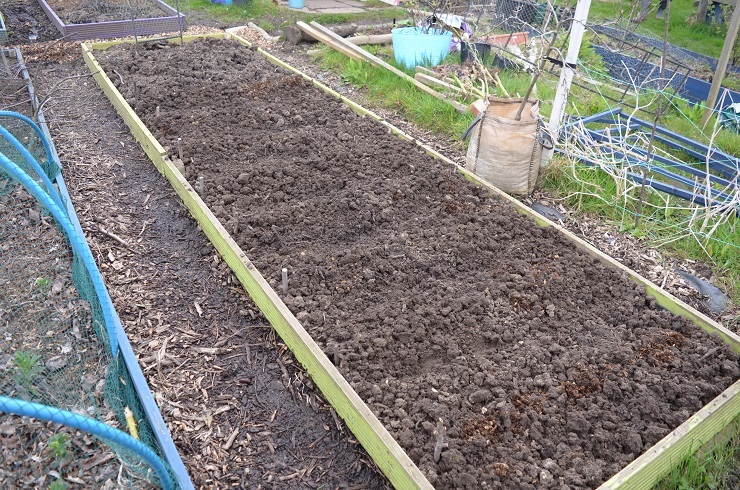 I’ve at last turned over the first of the potato beds, and planted them up with both Dunluce and Red Emmalie. The bed has many fat worms in it, possibly from all the leaves turned in last July with the brassicas. It felt really good to have done something that will result in dinner rather than dry feet. 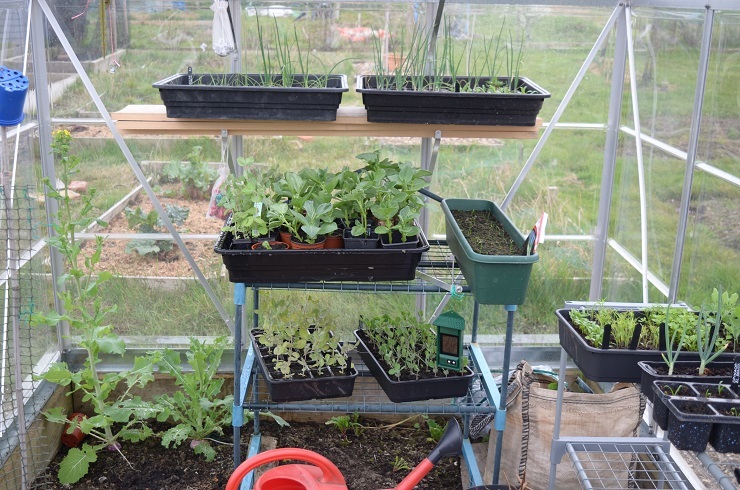 My Charlottes and maincrops are going to have to be elsewhere though, there’s very little room left. Our bees are waking up, as are the early butterflies with some huge Peacock butterflies blundering about. I have just one self-seeded cerinthe on #100. It looks a bit raggedy but has been determinedly flowering for the last couple of weeks & has many noisy bees dancing attendance. 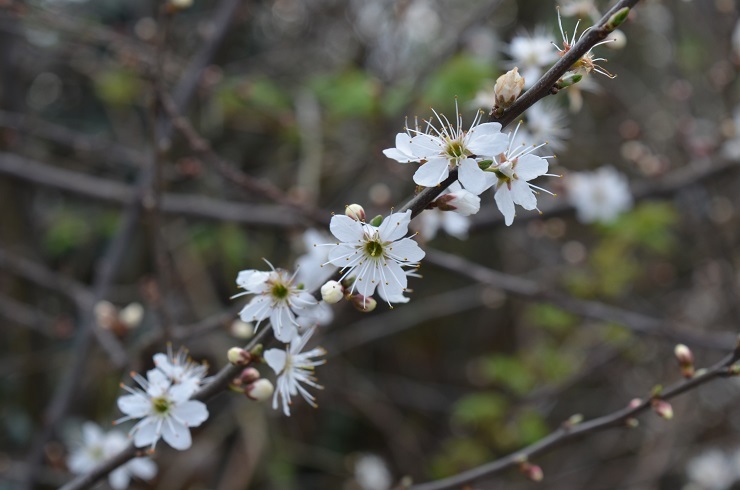 The blackthorn hedge is full of foamy blossom too – many more flowers this year than last and lower down, confirmation that the yearly pruning is working to help bush out the plants. 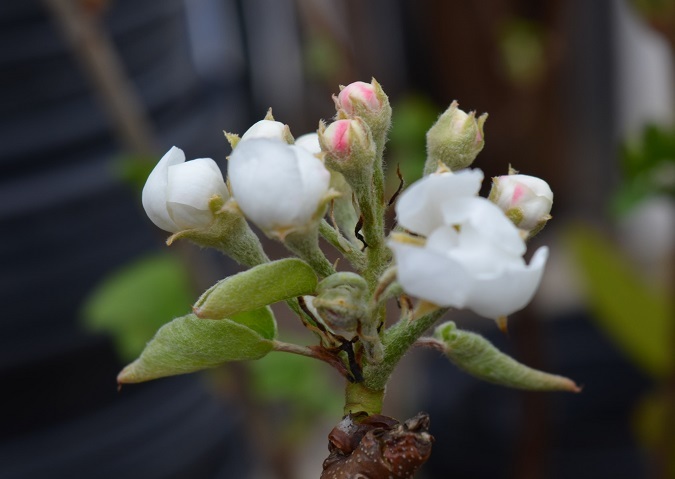 The pears, redcurrants and green gooseberries are already flowering, fingers crossed for a really big crop this year. With all the new plants popping up, the year’s cycle is ending for others. My saffron plants are on the way out, yellowing. limp and looking sad. 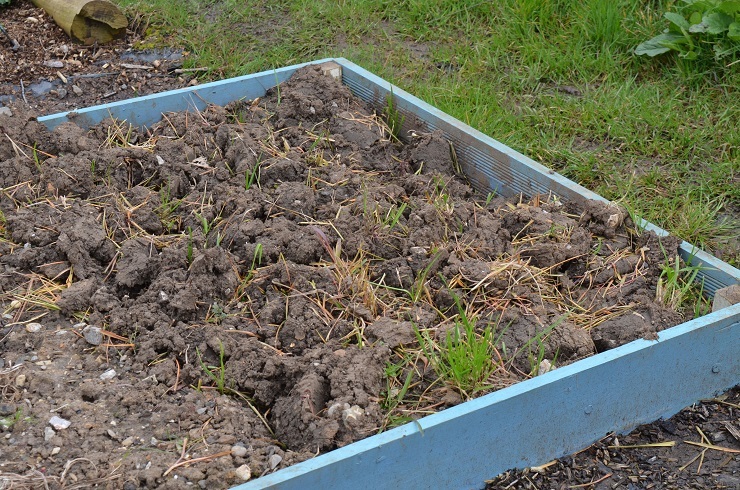 By the end of June it should all have died back completely and once the garlic’s out, I’ll build a second bed to give it more space. Sown: Guernsey parsnip (chitting), Swift sweetcorn & Strawberry popcorn (also chitting), Piccolo di Parigi for small pickling gherkins, Beit Alpha cucumbers, La Diva F1 cucumbers and one lone Zeina F1 cuke for inside the greenhouse. I don’t usually buy expensive greenhouse cucumbers, I didn’t read the packet properly in my 50p sale frenzy at Wyevale last year. Also sown melons: Bozeman watermelon, Kajari and Petit Gris de Rennes. Next up are beans and squashes – though many beans will need to go in direct as there’s no way I have space for them all in modules. Early casualties: One of the echinacea has disappeared and all casper aubergines have been fungus gnatted into oblivion, likewise most of the cerinthe. I can try again with cerinthe, but the aubergines will need to wait for next year for another go, they grow so slowly there’s not much point in sowing now. I seem to be an artichoke down too. The biggest one looks decidedly dead. 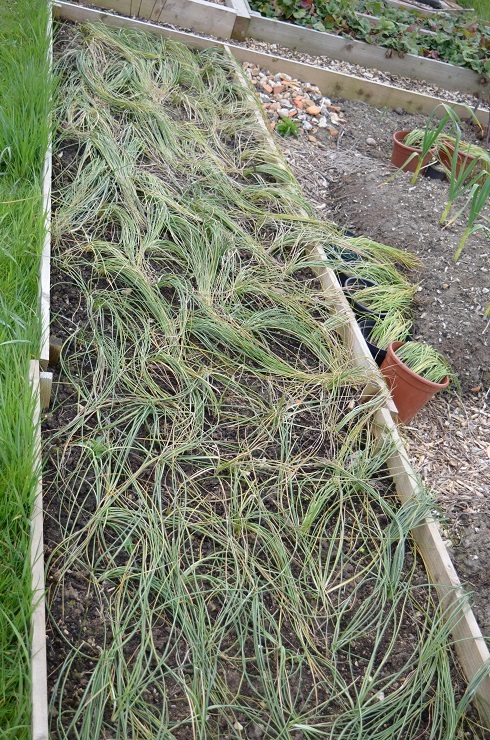 Sadly Lazarus the Hungarian Rye I sowed as green manure just won’t die. I know I’m not the only one to experience this. Next time it’s crimson clover, it sounds less tenacious. I’m planning on growing green manure at the end of the season Beryl. I had planned to grow rye so will keep a note of this as one to perhaps avoid. It might be better on lighter soils. I think I’m going to have to bury it a spit deep to kill it off!